A Backwards Progress - Homestead Edition: On the Farm: Onions! 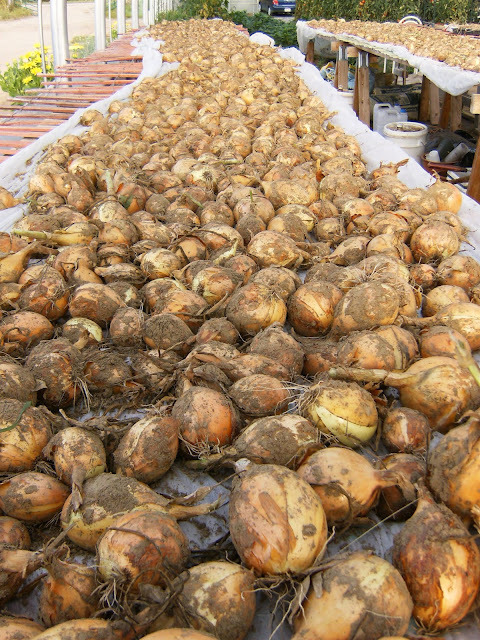 Last week we harvested our white onions and put them in the greenhouse to dry for storage. Onions drying in the greenhouse.